What Type of TV Is Best To Use With a Blu-ray Disc Player? Blu-ray Disc, like DVD before it, has definitely made an impact in the home theater landscape, but are you getting the most out of the picture quality afforded by the Blu-ray Disc format on your TV? Blu-ray Disc players made before 2013 can be connected and used with any TV that has at least composite video inputs. However, to access high definition resolution the player needs to be connected to a TV (such as an LCD, Plasma, or OLED) with at least 720p or 1080p display resolution using an HDMI (or DVI via an HDMI/DVI Adapter) connection, or possibly, Component Video connections (the component video option has been discontinued). Up until 2011, access to high definition resolution had been possible with the component video connections of a Blu-ray Disc player that had them, but this was at the movie studios' discretion. Since January 2011, discs may be encoded to only allow access to high definition resolution via HDMI or DVI. The reason is that although owners of older, pre-HDMI, or DVI-HDTV-equipped, HDTVs can enjoy the benefits of Blu-ray in high definition on pre-2011 content, video signals traveling through component connections are more easily pirated than those transferred through the digitally copy-protected signal allowed through HDMI or DVI connections. Since December 31st, 2013, Blu-ray Disc players no longer come with either composite or component video outputs. Although officially discontinued in 2008, there are still some HD-DVD player owners, and HD-DVD players and discs are still sold and traded by enthusiasts on the secondary market. If you own an HD-DVD player, it can be connected to any TV that has at least composite video connections. However, just as with Blu-ray, connecting an HD-DVD player to at least a 720p or 1080p HDTV using the HDMI connection will provide much better results. 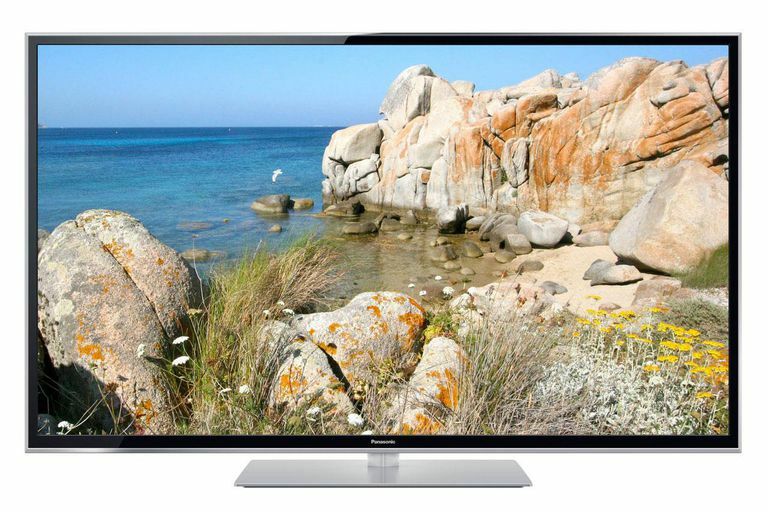 Many TVs are now capable of 4K native display resolution. Although Blu-ray is a 1080p-capable format, there are three factors that make using a Blu-ray Disc player with a 4K Ultra HD TV a viable (and desirable) option. First: All 4K Ultra HD TVs have the ability to upscale lower resolution video for display. This means that Blu-ray Discs have the potential to look better on a 4K Ultra HD TV than on a 1080p HDTV. Second: Some Blu-ray Disc players provide 4K upscaling for DVDs and Blu-ray Discs for better compatibility with 4K Ultra HD TVs. This may seem redundant if the TV also has this capability, but the user can determine which option provides the better result. Third: The Ultra HD Blu-ray Disc format was introduced in 2016 which offers native 4K resolution disc playback. Although new players are required to play Ultra HD Blu-ray Discs, they are able to play all DVD and Blu-ray Discs as well. To get the full benefits of Ultra HD player capabilities, you need a 4K Ultra HD TV equipped with HDMI version 2.0 or 2.0a inputs. On the other hand, although you can use an Ultra HD Blu-ray Disc player with a 720p or 1080p HDTV you will not get the full benefit of the player's capabilities. Some consumers may want to buy the new player ahead of changing out their TV, but If you don't have any intention of upgrading from an HDTV to a 4K Ultra HD TV, a standard Blu-ray Disc player is the best option. To review here is how to determine the best type of TV use with a Blu-ray Disc player. If your Blu-ray player has a composite video output - you can connect it to any TV that has a composite video input. However, you will not be able to access high-definition Blu-ray quality from Blu-ray discs, nor video upscaling when playing DVDs. If your Blu-ray Disc player has a set of component video outputs, you can connect it to any TV has a set of component video inputs. However, even if your TV is an HDTV, you may, or may not, be able to access high-definition Blu-ray quality depending on when the Blu-ray player was manufactured and/or if the Blu-ray disc title you are playing is encoded not to output high definition when played via component video connections. Also, no matter when your Blu-ray disc player was made, you may not be able to access video upscaling when playing standard DVDs if using component video connections. If your TV has an HDMI input, use the HDMI output connection on your Blu-ray disc player for access to high definition video resolutions from Blu-ray discs, as well as DVD video upscaling from standard DVDs. If you also want access to 3D Blu-ray content, you will also need, in addition to a 3D-enabled Blu-ray Disc player, a 3D-enabled HDTV that is compatible with the 3D Blu-ray Disc standard. 3D is only available via HDMI connection. Production of 3D TVs was discontinued in 2017, but 3D-enabled Blu-ray Disc players are still available as they can also be used with video projectors that include the 3D viewing option. If you have a 4K Ultra HD TV, that is also a desirable option as it has the ability to upscale 1080p Blu-ray Disc content so that it looks better than it would on a 1080p TV. Check out a visual reference and more detailed explanation of Blu-ray Disc player connections. Using the above guidelines, your choice of a specific brand/model LCD or OLED TV (Plasma has been discontinued) depends on your needs. Beyond resolution and connection compatibility for Blu-ray disc players, factors such as screen size, screen shape (flat or curved) and overall picture quality, as well as any additional features desired, need to be taken into account.